You started to use our platform and built one or two cash plans. If you went with the forecasting far enough in time, you probably noticed on the right side of the chart area two indicators with values in red: Zero Cash Date and Cash Flow Gap. 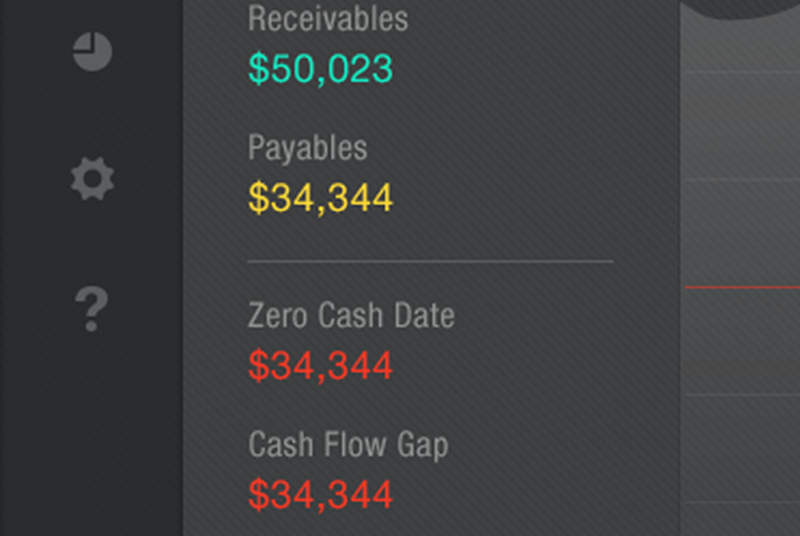 Zero Cash Date is pretty clear, but what about Cash Flow Gap? A gap between what and what? you may ask yourself. Let’s shed some light on this not at all comfortable indicator. First of all, don’t let that value scare you. Indeed, it is a sign that your expenses are greater than your income (you lack cash, more exactly), but take it as an incentive to get your mind working, the team motivated, customers more punctual with payment and start bringing cash into the company. The Cash Flow Gap, as ThinkOut calculates it, points out the minimum value of your cash flow plan over the entire planning period. In other words, it is the lowest you get under zero cash on a certain day within the timeline you established. That negative value in red is the money you need to get back to even (expenses equal income). This Cash Flow Gap is calculated per cash plan and per day. Each of your cash plans/scenarios has a distinct Cash Flow Gap. In order to identify the exact moment when you reach your lowest cash deficit, select the ”per day” view of the cash plan. Otherwise, the value shown by the per month chart line is cash balance of the current month (the balance of the month + balance of previous months since the start date of your cash plan). Again, this indicator is not meant to give you a panic attack, but to warn you. Chances are that it will appear somewhere far in your planning period, so be aware of it and stay prepared to prevent it from happening. Consider Zero Cash Date as a guideline for the moment when your business starts spending more than it earns. Make sure you don’t reach that Date, so there will be no reason to see a Cash Flow Gap occurring.